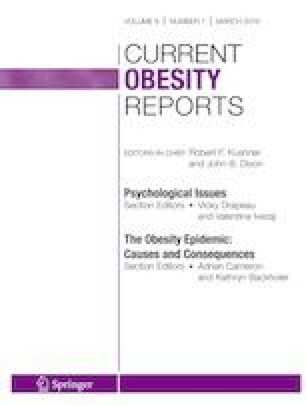 This review describes the results of randomized controlled trials that have evaluated the efficacy of behavioral interventions for obesity in primary care settings. Most studies have found that high-intensity behavioral counseling (providing 12 or more sessions per year, as defined by the US Preventative Services Task Force), when delivered in-person, by phone, or electronically, produced clinically meaningful weight loss (4 to 7 kg). Low- to moderate-intensity behavioral counseling and counseling that did not include behavioral strategies (e.g., motivational interviewing) produced modest losses of 1 to 2 kg. The addition of weight loss medication increased mean losses relative to behavioral treatment alone. Consistent with national guidelines, the largest weight losses were achieved with high-intensity counseling, either alone or in combination with obesity pharmacotherapy. Primary care providers can support their patients by inviting them to discuss their weight concerns and referring interested individuals to appropriate interventions. Dr. Tronieri’s effort was supported, in part, by the National Institute of Diabetes and Digestive and Kidney Diseases of the National Institutes of Health (K23DK116935). Dr. Chao was supported by the National Institute of Nursing Research of the National Institutes of Health (K23NR017209). Jena Shaw Tronieri has received compensation from Novo Nordisk for service as a consultant. Thomas A. Wadden has received research support from an investigator-initiated award from Novo Nordisk, and he has received compensation for service on advisory boards from Novo Nordisk and WW (Weight Watchers), Inc.
Ariana M. Chao has received research funding from Shire Pharmaceuticals, and she has received compensation for service as a consultant from Shire Pharmaceuticals and WW, Inc.
Adam Gilden Tsai declares that he has no conflict of interest. American Medical Association. Proceedings of the 2013 annual meeting of the house of delegates: Resolutions 2013 annual meeting. Reference Committee D. https://www.ama-assn.org/sites/ama-assn.org/files/corp/media-browser/public/hod/a13-resolutions_0.pdf. Accessed 10 Jan 2019.